I arrived in Whitehorse yesterday, but nothing boring about the trip. I will post here some of my Facebook “LoveYourBigMuddy Expedition” page posts because that is my main media for sharing. 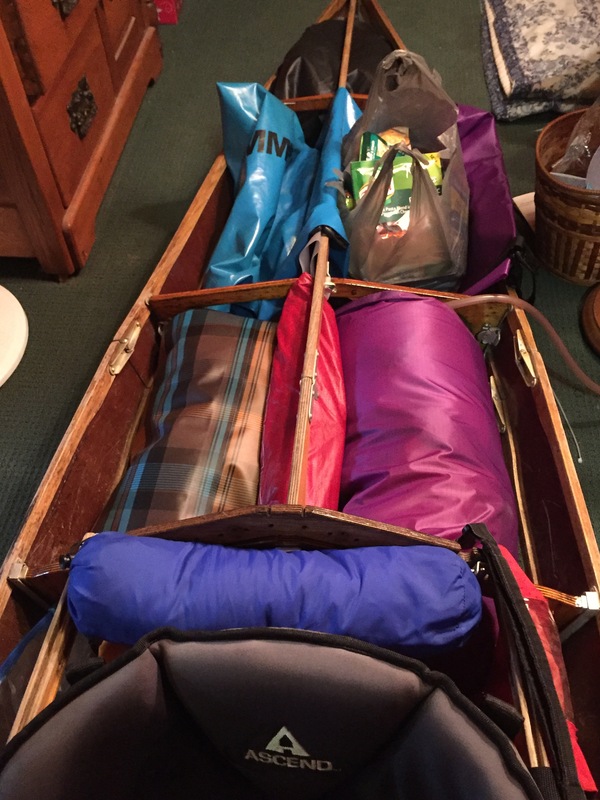 I practiced packing in the kayak Tuesday morning. 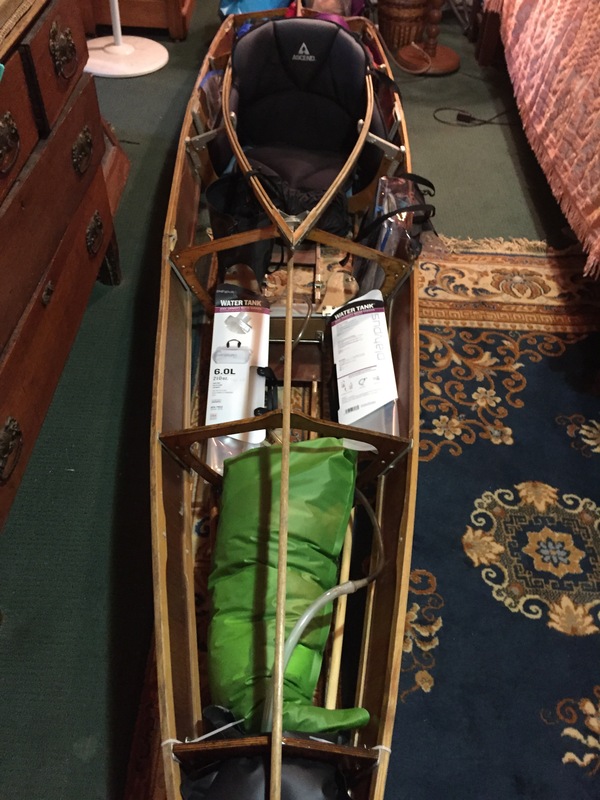 The foldable kayak is only 14′, three feet shorter than my other boat, Blue Moon. And, the owner who loaned it to me is a minimalist, of which i am NOT. I think i did pretty good for my practice run. 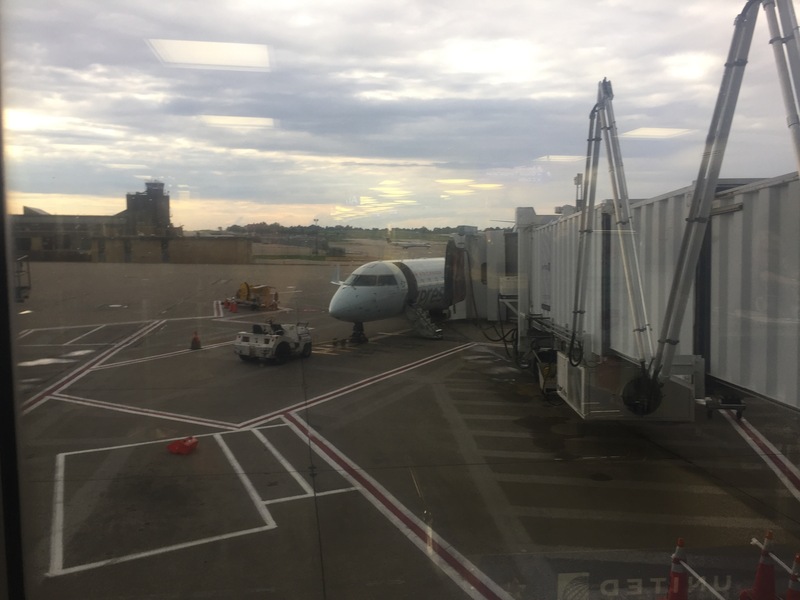 There’s my plane, six minutes past departure time, still sitting there, without me on it. BUT THEN, as soon as i sat back down after photo-journaling the incident, they came and got me, something about couldn’t find my bags (4 of them, mind you! ), and the plane had to be delayed. So, off i went, now quite polite, and slept all the way to Toronto. The magic is beginning to swirl around the expedition. 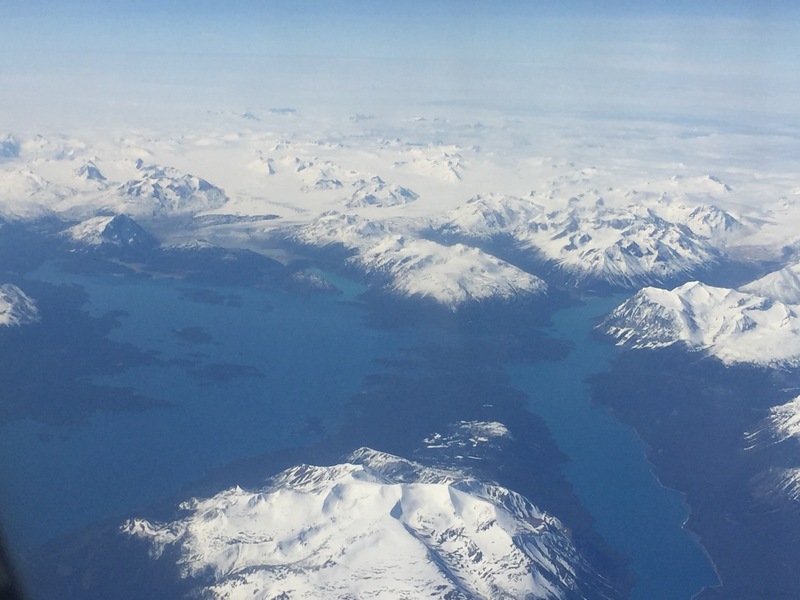 I was blessed with another perfect flight on Canada Air AND a port-side seat looking west. 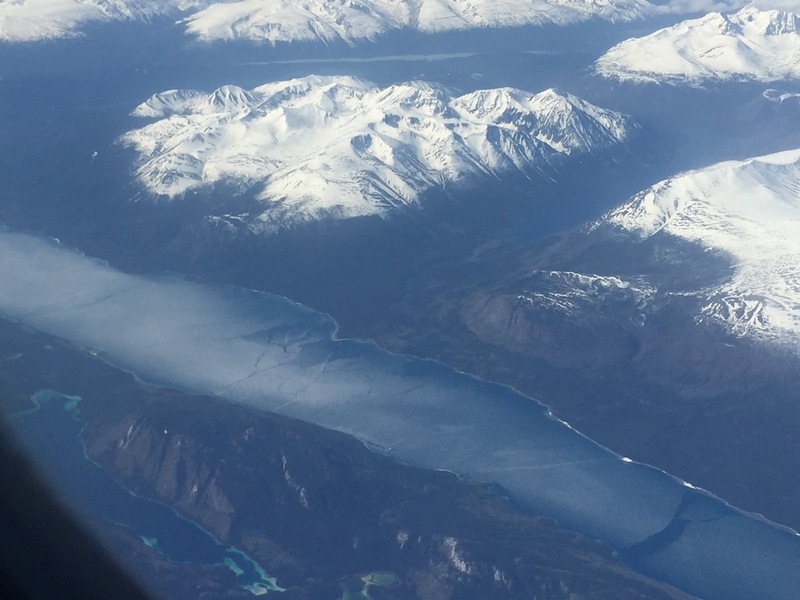 We flew RIGHT OVER Atlin Lake, Llewelyn Glacier, and the Atlin River which is my exit stream off Atlin Lake. Oh, the thrill was incredible!!! Kid in a candy shop! WOW! Teresa Island and the wind-protected route (right side) up to the glacier (top and center). 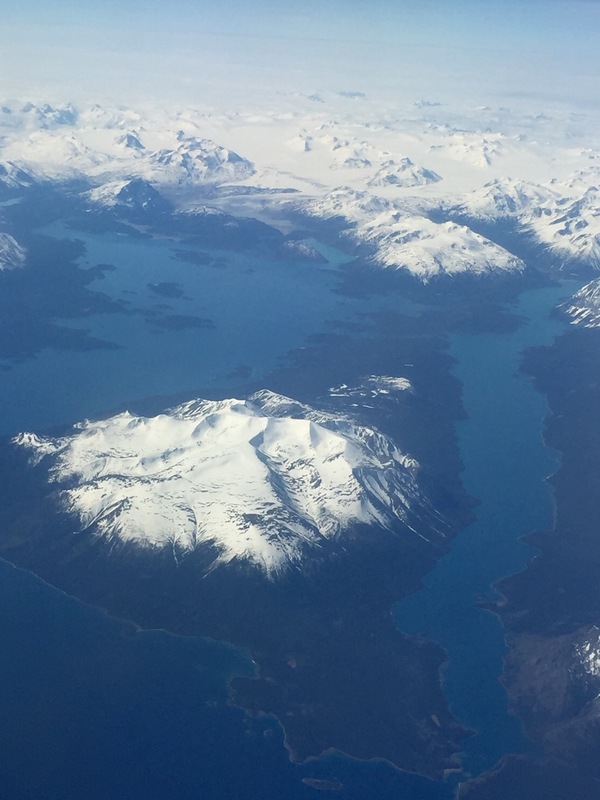 The town of Atlin is left of Teresa Island out of the photo. The source i am headed to is Llewelyn Glacier in the upper center of the photo. SO AWESOME! On Saturday i will get dropped off at Warren Bay, which is just out of the photo on the left side. I will paddle up the shoreline, through those little islands, then over to Llewelyn Inlet, there in the center. I’d like to camp there, and hike up the mile or two to the glacier if i can. Back down (i’ll actually be headed north) behind Teresa Island to the Atlin River where i will exit Atlin Lake. Next Lake is Tagish, which was showing some signs of glacial waters. I am camped now with a rental car and gathering the very lasy of my gear, trying not to accumulate too much. I picked up a new canister of Bear Spray, and a wool blend shirt for cold nights. I bought a burger and fries last night, YUM, and a Starbuck’s coffee this morning, YUM, after trying to get a shower in, but no darn hot water. The Great River Yukon making a couple twists and turns before presenting itself to the city of Whitehorse. Of course, there IS a paved path in a sweeping multi-mile loop up and down both sides of the river, with vista benches strategically placed, bicycles content to carry their happy riders, strollers with tiny passengers who are comforted by the babbling of their river sibling, dogs with swinging tails walking their obedient owners, joggers jogging, and walkers chatting. 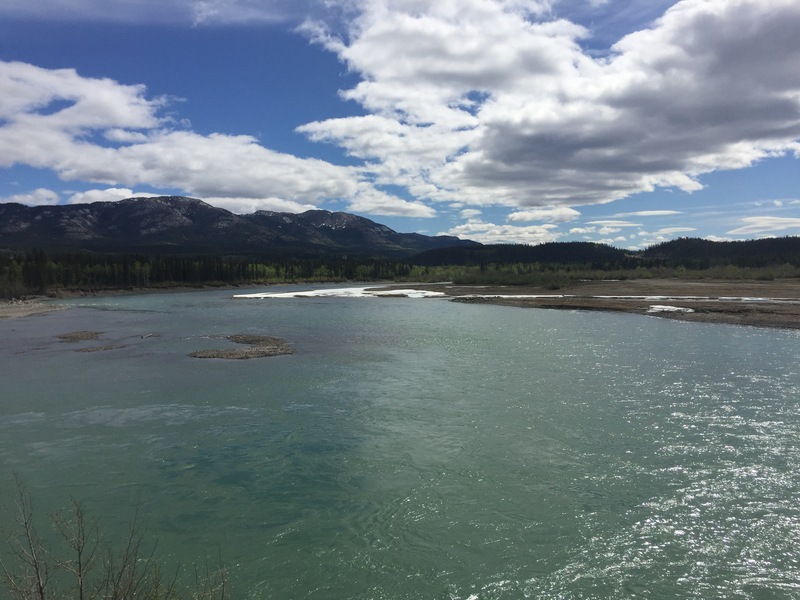 Whitehorse is a hard-core river town in the middle of the Yukon wilderness. Life is ‘in’ the ‘outdoors’ (at least in the summer), as it should be. Strive to love what YOU do, inside and out, and do what you love. Peace Out. Fasten your seat belts. We’re going on an adventure!!! Big River Love from the Mighty Quapaws Janet! 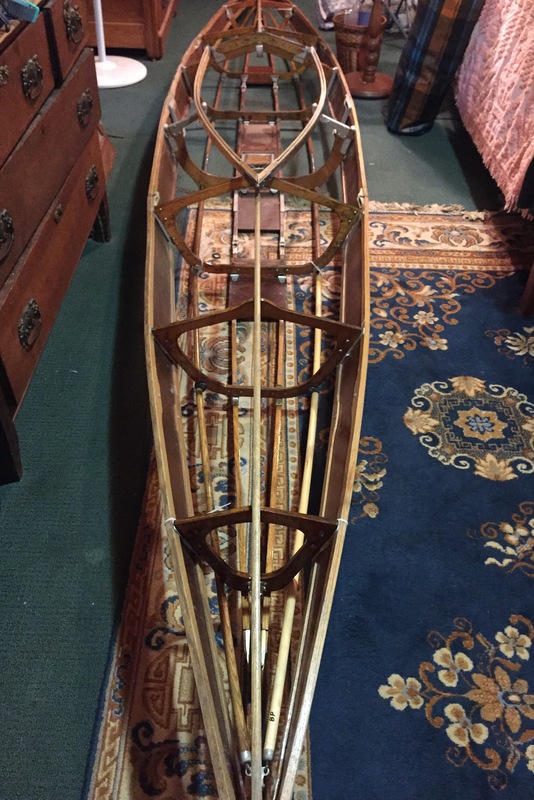 Look forward to following you on this! Wonderful! Be sure and follow along on My Facebook page “LoveYourBigMuddy Expedition” where i will be doing most of my posting via Satellite communicator. Big smiles, river brother!